Enjoy clean drinking water – all the time. This ION unit transforms ordinary tap water with CarbonPlus™, the latest filtration technology that reduces chlorine taste, odor, lead, and more. Enjoy an unlimited supply of clean, great tasting water. 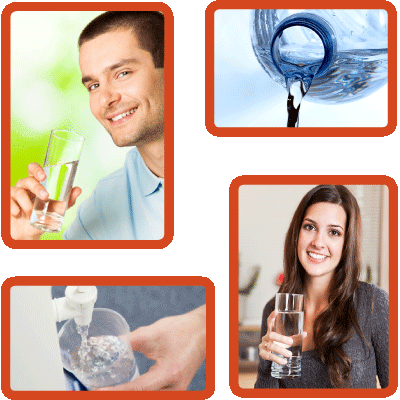 Watson's offers natural Artesian water of unparalleled quality. From the unspoiled land in the north woods of Wisconsin, this pristine, crisp water is available for home and office delivery in 5 gallon jugs. We offer cases of Nicolet Spring Water for your home or office. Our Nicolet Natural single-serve bottles are made from 100-percent recyclable Polyethylene Terephthalate (PET) labeled as #1 plastic. For the office or home - an environmentally friendly choice to enjoy Nicolet Natural Artesian Water. Enjoy the same thirst-quenching water that the world champion Green Bay Packers depend on for refreshment. Nicolet has been the official water of the Packers for over 25 years. It has become a tradition for a child to introduce the official players water to the crowd of each home game.